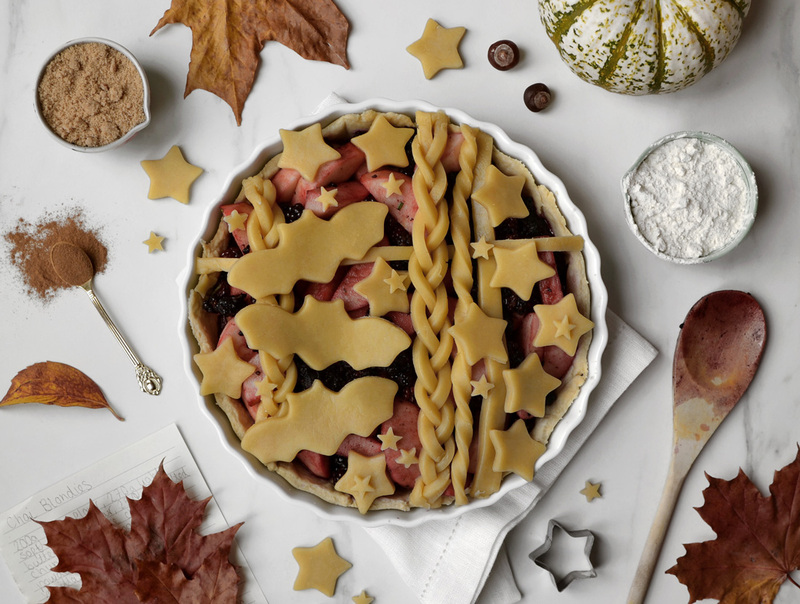 It’s that lovely time of year for warming pies, bursting with seasonal fruit and topped with buttery pastry, so what better way to celebrate Halloween than a suitably decorated one. 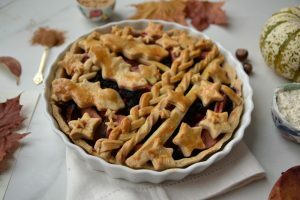 This years bramble picking bounty has been plentiful so I’ve perfectly paired them here with apples and a hint of rosemary which gives this gorgeous pie the most delicious Autumnal flavour. Step 1. Preheat the oven to 190 degrees. Sift half of the flour into a mixing bowl. 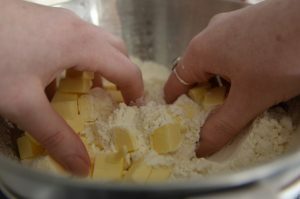 Add exactly half of the cubed butter into the sifted flour and rub with your fingers until the mixture resembles fine breadcrumbs. Add a pinch of salt then add a tablespoon of water at a time, mixing after each addition until a smooth dough is formed. Gently knead until it can be rolled into a ball, then wrap in clingfilm and pop in the fridge to rest. This will be your pies base, so repeat this process with the remaining ingredients then pop in the fridge to rest beside your first ball. Step 2. 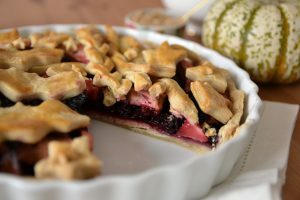 Whilst your dough is resting, you can make the pie filling! 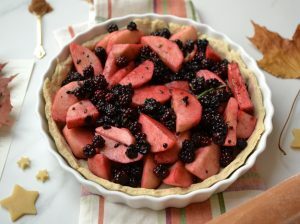 Place your sliced apples, sugar, honey and rosemary into a pan over a low heat and stir gently until the sugar has dissolved. 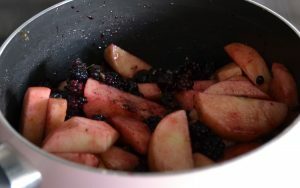 Mix through your brambles then remove from the heat and set aside to cool. Step 3. 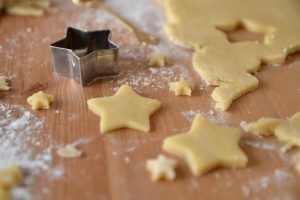 Remove the first ball of dough from the fridge and place onto a lightly floured surface. 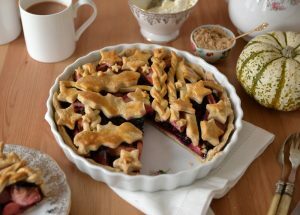 Use your hands to gently knead it until it heats up slightly and becomes workable, then dust a rolling pin with flour and roll out until it is flat and even, and covers the size of your pie base with allowance for a crust. 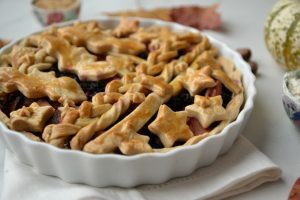 Lift it into the dish and use your fingers to work the pastry into the corners, and pull of any excess which can then be used to patch up any areas that may need it! 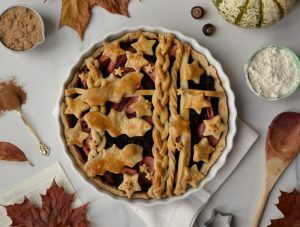 Use a fork to mark the bottom of the pastry. Step 4. 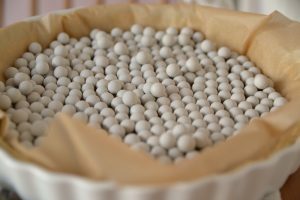 Place some baking paper into the middle and fill with baking beads or dried pulses and blind bake for 20 mins, then remove from the oven. Step 5. Whilst your crust is baking in the oven, remove your second ball of dough from the fridge and gently knead in the same way as before. Roll out flat on a flour dusted surface and it’s time for the fun part, getting creative with the decorating! Use some Halloween Cookie Cutters to make fun shapes to decorate it with! I also added a simple pleat by braiding three slices cut with a rolling pizza slicer. Step 6. 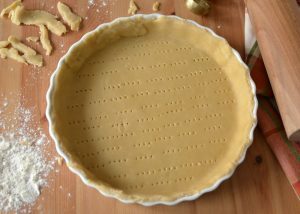 When your pie crust has baked for 20 mins, remove from the oven and remove the paper and baking beads. Spoon your pie filling on top then add your lovely decorations! 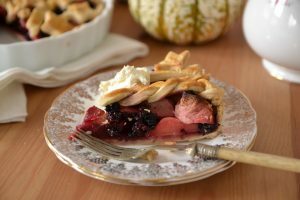 Once these are all in place on your pie, whisk up the egg and wash over the pastry pieces using a pastry brush. This is important as it gives your pastry and nice golden shine when baked!